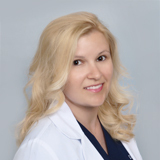 Natalie May, DMD offers a variety of general and cosmetic dental procedures including oral cancer screenings, fillings, veneers, crowns, bridges, root canals, implant restorations, laser dentistry and treatment of gum disease, partials, dentures, extractions, bone grafting and socket preservation, nightguards, and teeth whitening. She also strives to provide same day emergency exams for those patients who are experiencing pain, or discomfort whenever possible. Dr. May provides dental services to adults, teenagers, and children as young as four years old. When she’s not fixing smiles, she enjoys spending time with her family and two dogs. 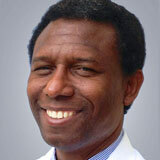 Oral surgeon William Mathurin, MD, DDS, was born on the tiny island of St. Lucia. He earned his undergraduate degree in biology at Towson University in Maryland and worked at Johns Hopkins University before earning his Doctor of Dental Surgery degree and a Master’s Degree from the University of Maryland. After practicing general dentistry in Florida for 9 years, he then completed his medical degree and general surgery internship at the Louisiana State University School of Medicine. He then went to Mount Sinai School of Medicine in New York where he was awarded the Certificate of Oral and Maxillofacial Surgery. Dr. Mathurin performs a variety of oral surgery services including wisdom teeth removal and other types of extractions, bone grafting, cosmetic dental surgery, corrective jaw surgery, dental implants, facial trauma, oral pathology, and sinus lifts. When he’s not fixing smiles, Dr. Mathurin enjoys sports, spending time with his family and running with his dog, Pepper.